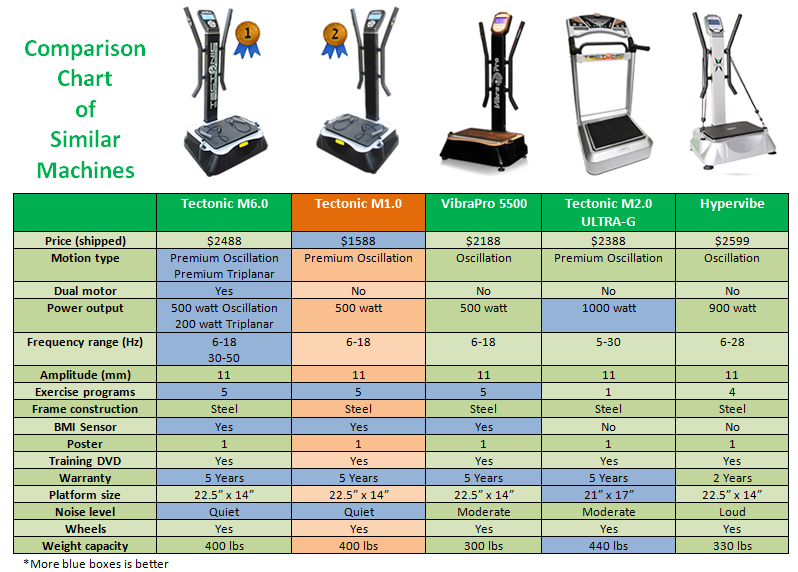 Built in the same manufacturing plant as the more expensive branded machines from competitors such as Hypervibe and VibraPro, the Tectonic M1.0 uses the same engineering know-how and strict production processes as the other brands to produce this affordable quality machine. 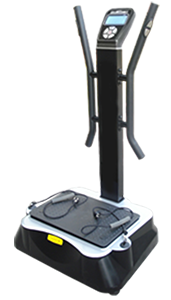 A large standing platform, premium oscillation motion, and wide sturdy front mounted handle bars allows for unobstructed exercise movements and maximum workout results. 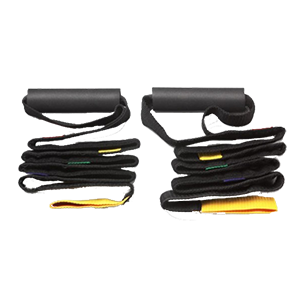 The Tectonic M1.0 is designed to help you increase muscle, strength, power and physical performance by delivering a mechanical stimulus that gently exercises the entire body. The overall strength and stability of the platform allows the M1.0 to utilize a pivotal platform motion that rapidly alternates from side to side. This motion is beneficial because it combines with the natural movements of the body, strengthening the body and core, as well as improving posture. To increase the intensity of your workout or rehabilitation session simply adjust the speed, position, and time to create the challenge you need to continue building muscle and core strength. The Tectonic M1.0 features 5 built-in workout programs, exercise resistance bands to provide a more focused upper body workout, and a blue LED control panel that enables you to track your pulse and body fat as you exercise. 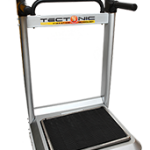 The Tectonic M1.0 is more economical and durable and built by the same manufacturing facilities that makes the more expensive Vibrapro 5500 or Nitrofit. 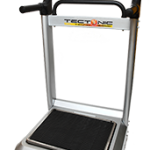 It is light and portable enough to be used at home and in the gym and comes with wheels for easy relocation. Vmax Fitness i25, FREE SHIPPING! Tectonic M2.0 ULTRA-G, FREE SHIPPING!